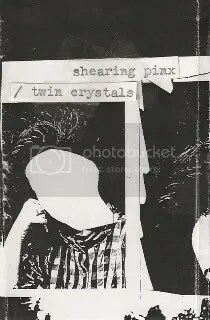 Shearing Pinx / Twin Crystals Split CS is out now! Two of Vancouver’s hardest working bands, i remember hearing about Shearing Pinx playing the Smell back in the day. Twin Crystals are unstoppable, i first met the guys when they began what i think was their first ever US tour. They were using borrowed equipment the whole trip minus their synth and a guitar they bought at a pawn shop. Shearing Pinx delve into a slow burning free jam that encompasses their ability to show restraint and precision, while Twin Crystals stray away from their perfected punk sound to deliver heavy doom in the only way Twin Crystals can.